Oak Brook police responded about 11:51 a.m. Saturday December 29, 2018 to a report of an Attempted Aggravated Vehicular Hijacking and an Auto Theft at Oak Brook Center near Spring Road and Harger Road. The suspect, who was captured in less than an hour, was described as a male/white, wearing a yellow jacket and armed with a large knife. The suspected failed in an attempt to carjack a woman’s vehicle and stole a second idling vehicle instead. The DuPage County State’s Attorney’s Office says that about 11:50 a.m., Anthony Riola, age 39 of Florida, approached a woman sitting in her car in an Oak Brook Center Mall parking lot and said, “Give me your car.” According to a statement from the DuPage County state’s attorney’s office. He warned that he had a knife before pulling out a large knife and brandishing it at her. The female victim got out of her vehicle and fled, leaving Riola to take her vehicle. However, Riola did not possess any keys or ability to start the ignition. Riola got out of the vehicle and entered another vehicle that was idling nearby at a valet space, according to the DuPage County State’s Attorney’s Office. The vehicle was a black 2018 Jeep Grand Cherokee, which was taken while a valet attendant and the vehicle owner watched in shock. Riola drove off with the Jeep Grand Cherokee from the crime scene, which was less than a minute’s drive to an Interstate 88 interchange, less than a couple of minutes to the eastbound Eisenhower Expressway (I-290), and less than 15 miles from the neighborhood he would be captured. Less than an hour later, the black Jeep Grand Cherokee was spotted by Chicago police near Ohio Street and Pulaski Road. Chicago Police had the suspect in custody by 12:45 p.m. near the spotted stolen vehicle location in the southern Humboldt Park neighborhood near West Garfield Park. Theft by Deception over $10,000 but not more than $100,000. Riola’s bond was set at $500,000, the state’s attorney’s office said, and his next court date was scheduled for Jan. 28. 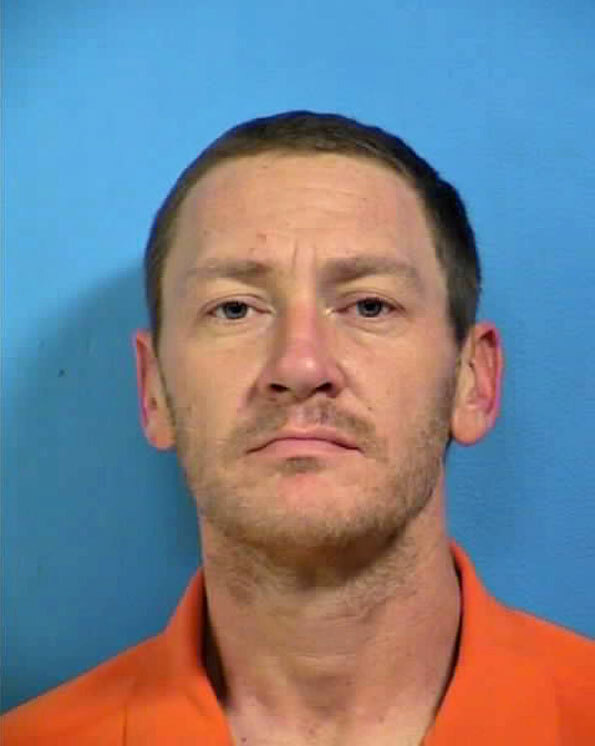 Anthony Riola — described as a 39 year-old male/white, 6’ 0” 180 LBS with brown hair and blue yes — was booked at DuPage County Jail on Sunday, December 30, 2018. Bond is $50,000.00 and he remained in custody as of Wednesday January 2, 2018.